Hello! 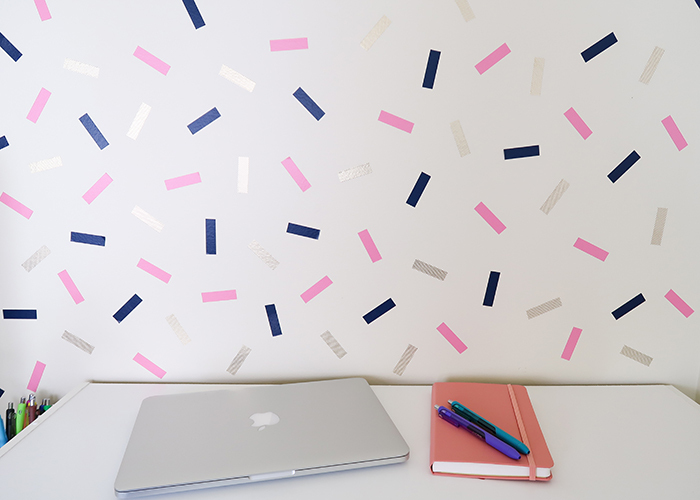 I’m so happy to share this Washi Tape Wallpaper Project with you today! 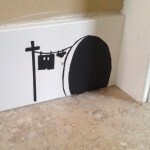 If you live in a rental where you can’t paint, this is the perfect project for you. 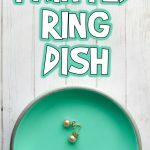 This is also great if you have artistic kids who want to paint their walls fun colors, but you don’t want anything that’s going to be difficult to change up or that you have to paint over later. 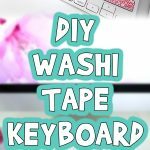 Washi tape is a paper tape that is easily removable, non-damaging, inexpensive, and comes in an unbelievable variety of colors and patterns. I found a coordinating three-pack of washi tape on clearance at Target, but I usually pick mine up on sale at Michael’s with a good coupon too. 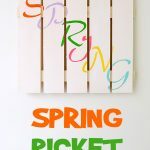 I had a plain boring wall in my office that needed a little love, but this would also be perfect as an accent wall in a kids room or living space. The only thing is that I wouldn’t recommend doing this in the kitchen or bathroom, anywhere there is a lot of steam might cause the tape to loosen and fall. I chose to make this confetti pattern because I thought it would look so fun, but you can do stripes, crosses, or any other geometric shape you can think of. You can even look up geometric wallpaper designs online for some inspiration. Let’s get started! 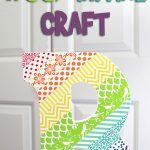 You might also like my other washi tape crafts! Washi tape! I recommend using 3 rolls for a half wall, or 6 rolls for a whole wall. You’ll need more if you’re doing stripes or a more complicated pattern. 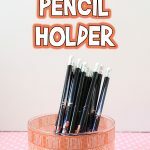 *If you’re doing stripes or other patterns a pencil may be helpful to mark out lines. Note: Please wash your wall first! 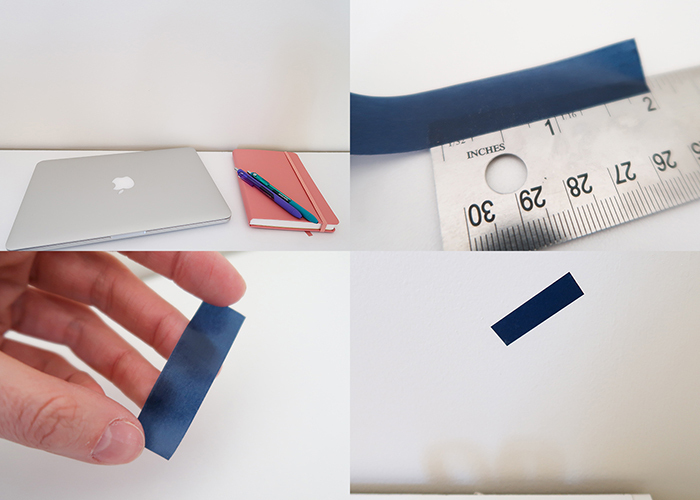 Dust or oil will prevent the washi tape from sticking. You can use a microfiber cloth dampened with a bit of dish soap and water. Here’s the wall I’m decorating, all cleaned and dry. 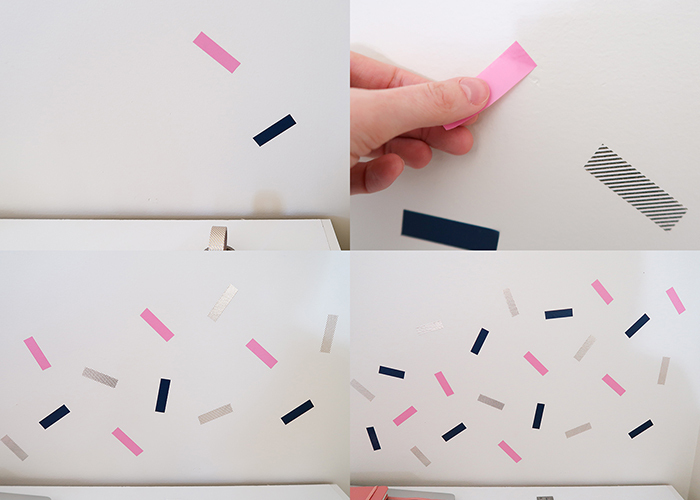 For a confetti pattern, you’ll want to cut your washi tape to two inches long. Then, just stick it on the wall. Yep. Don’t worry about being perfect or planning out a pattern. The beauty of confetti is in it’s randomness. 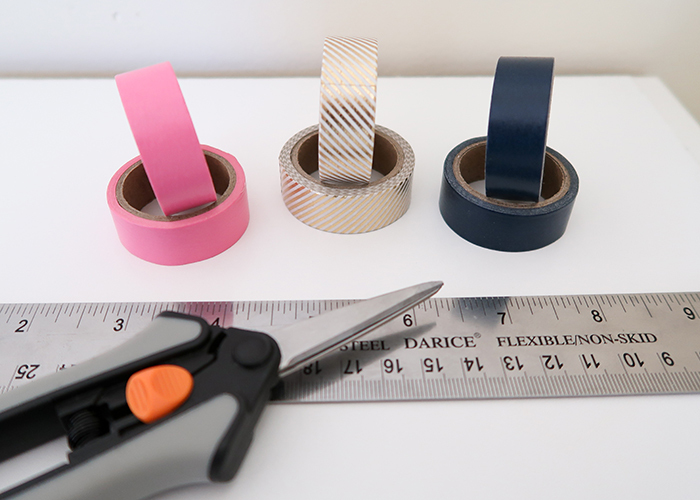 Cut your next piece of washi from a different color, and stick the on the wall about 3-4 inches away from the first piece, facing a different direction. Keep doing this, adding one piece of washi at a time and alternating colors until your whole wall is filled. I recommend pressing down firmly on the washi and rubbing a bit with your thumb. Warmth helps any adhesive stick better. If you’re not happy where you’ve placed a piece, you can lift it up and move it, but I wouldn’t do this more than once for the best adhesion. You can always cut a new piece if you need to. Before you know it, you’re whole wall will be finished! 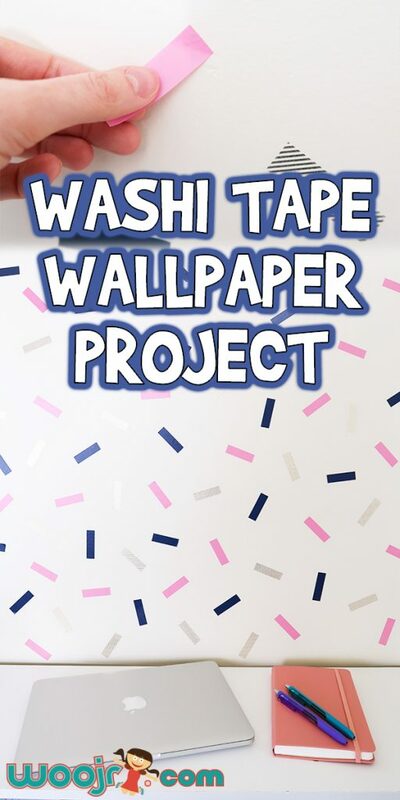 This Washi Tape Wallpaper Project is also the perfect way to make an inexpensive backdrop for Instagram or birthday party photos!